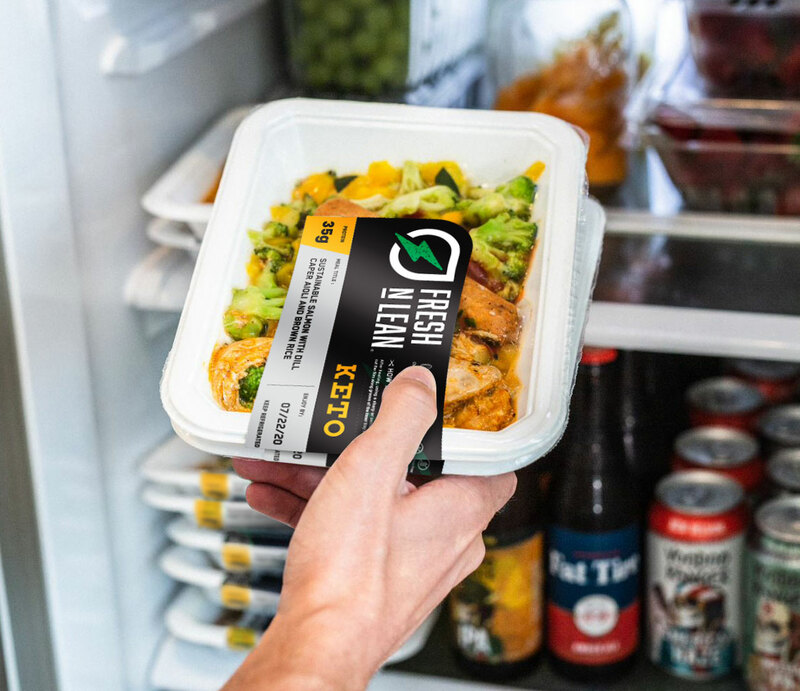 For tasty, vegan meals you can enjoy right at home, the convenience of Fresh n’ Lean’s meal delivery in Providence is hard to beat. With a creative talent as inspired as WaterFire, the chefs at Fresh n’ Lean work hard to bring Providence great tasting, all-natural food using farm-fresh and seasonal ingredients. Our meals are nutritious and gluten-free, and are always made to order so they arrive at your door fresh. Don’t let our deceptively simple, microwave-safe containers fool you. When it comes to natural flavor in Providence, the gourmet fare from Fresh n’ Lean is as elaborate as the grounds at Roger Williams Park. We value natural flavor. We only use fresh, organic produce from the best farms. Our chefs design healthy menus that are non-gmo and made from scratch. It’s easy. Order and receive a specially designed cooler of ready-made meals that are individually sealed for freshness. You can keep them in the fridge or take on the go. Are you having trouble sticking with your balanced nutrition plan due to a busy schedule? If so, Fresh n’ Lean is here to help you. Our meal delivery service in Providence, RI was designed to help anyone, no matter how busy, improve their health, boost their energy levels, and eat healthy food. Our meal delivery service in Providence is personalized around your specific nutrition needs and offers meals that are gluten free, plant based, and low on the GI scale so you can make sure your blood sugar levels stay stabilized all day long. For those who have been trying to get to their target weight without success, our meal delivery program will help take the guesswork out of eating well and help you finally lose weight and start eating healthy. Get our nutritious meals delivered fresh to your home or office in Providence today. Eating right can be very challenging for vegans. Fortunately, we can take the struggle away. All of our meals cater towards vegan eaters as they are 100% plant based and also contain no processed foods or GMO’s. Our meal plans are also totally personalized to meet your macronutrient requirements, so regardless of whether your ultimate goal is to shed pounds, build muscle, improve your overall health, or simply feel better on a daily basis, you can rest assured Fresh n’ Lean meals will help you get results. When you order from our healthy meal delivery service in Providence, RI, you’ll receive three fresh meals everyday, which can quickly microwave as soon as you feel hunger creeping on. This means that you never need to be without good nutrition again. Take Fresh n’ Lean meal containers to work, school, or simply while you’re on the go. Start today. Choose from our standard meal plans or select your favorite meals from our A La Carte menu and enjoy delicious and freshly prepared meals delivered to your home anywhere in Providence.